Massacre in the works: A Minnesota teen had a plan - a big, bold, dangerous plan, according to police. Here's what he had in mind. He was going to kill his family, start a diversionary fire, set off bombs at an area school, kill the resource officer there and then shoot students. Someone noticed some suspicious things at a storage facility in Waseca, Minnesota, and tipped off authorities. The 17-year-old has been charged with multiple counts, including attempted murder and possession of an explosive or incendiary device, police said. Considering options: A top Malaysian official said he's willing to consider the theory that Malaysia Airlines Flight 370 went down in the Bay of Bengal, thousands of miles from where the current search is taking place. But there's a but. "But I just want to stress that by doing that, we are distracting ourselves from the main search," Acting Transportation Minister Hishammuddin Hussein said today. The Australian supervising the whole operation says he's confident they're looking in the right place. 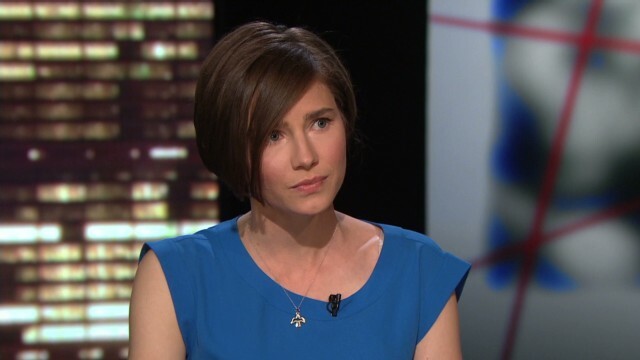 There is nothing: Amanda Knox maintained her innocence in an interview yesterday with New Day's Chris Cuomo. If she had been at the scene of the crime when her roommate was killed, forensic evidence would prove her guilt. But Knox says there is nothing - no DNA, no hair, no footprints, no handprints - to show she was there. In January, Knox, who also was convicted of slander, was sentenced to 28 1/2 years in prison. Her first murder conviction in 2009 was overturned two years later. Operation under way: Residents of the flashpoint city of Slavyansk were warned to stay home and avoid windows today as Ukrainian security forces launched an "anti-terrorist operation" aimed at dislodging separatist militants. The operation, also targeting the town of Kramatorsk, appears to be the most significant yet by the Ukrainian military against pro-Russia militia groups who've taken effective control of swaths of eastern Ukraine. Conflicting reports are emerging. Take 2: You didn't think he'd give up, did you? Director Quentin Tarantino has filed an amended lawsuit against the gossip website Gawker for linking to the leaked screenplay for his next movie, "Hateful Eight." Last month, a federal judge dismissed his original suit, ruling that Tarantino had failed to prove that Gawker's actions was direct copyright infringement. The judge then gave Tarantino's lawyers until Thursday to refile. They did and they're seeking more than $1 million. –Manatee drinking fountain: Look who shows up for a nice cool drink of water at the dock. - CNN cameo: "The Soup" spoofs one of the darkest days in baby Photoshopping history. Watch it if you dare. - Sit on me: Who says chivalry is dead. A young man becomes a human chair for an elderly woman. - Catness: Fluffy is making a nuisance of herself on the vibraphone. Keep that tail moving. - Disney singalong: These U.S. Marines aren't afraid to "Let It Go." They may not all be in the same key, but they own it! The Few. The Proud. The Marines. Hilarious,funny,too cute!!!!!!!! Is it alright to say too cute when commenting about a room of good looking,muscular U.S. Marines singing " Let It Go" ? I'm still smiling!!!!!!!! Have a beautiful weekend!!!!!!!! I know I will after watching this video!!!!!!!! The tagline under the picture starts–Amanda Know–should be Amanda Knox. Just a heads up. Thank you, Jason, for alerting us to this error. We informed the web team to this typo and hope to have it corrected soon. Notice the ambiguous headshake Amanda gives when Chris Cuomo asks her if she let Rudy into the appartment that night. It's the same ambigous headshake she gave during Diane Sawyer's interview !!! !